You know, I am really enjoying my new job but we certainly don’t have our own library. 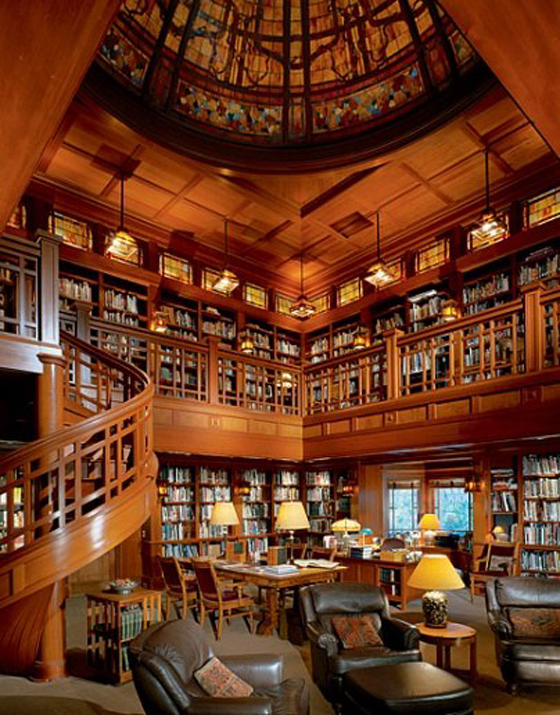 Behold the Lucasfilm research library at Skywalker Ranch. *Gasp! * I want to live there. Not just visit. Put a little cot in the corner and I’m good. Every once in a while there is a posting for an archives intern at Lucasfilm – I can only imagine how many apply. 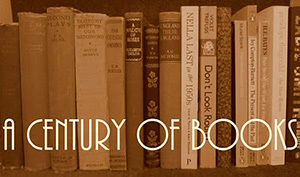 Love it – and, yes, could spend hours upon hours reading, writing, dreaming here. on October 20, 2013 at 16:50 | Reply Karen K.
Wow. I’m drooling over the staircase and the stained glass. I wonder if there are leather sofas to go with the armchairs? I’d be all set — I’d just need a tiny fridge and a soft blankie, and I’d be happy forever. Looks kind of difficult to dust. Beautiful! I’ve always wanted a library in my house, and visualised it as a smaller version of this – comfortable leather chairs, lamps, floor to ceiling books, little spiral staircase to a (smaller) balcony. Love this image!